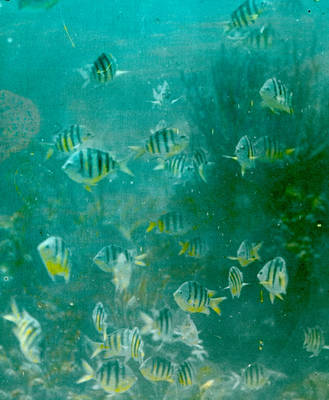 "Convict fish as seen from the Williamson Photosphere, Bahamas, 1914"
Convict fish as seen from the Williamson Photosphere, Bahamas, 1914. Tinted. Positive; Glass plate; 3.25" x 4.25"